Are you an artist who is feeling uninspired or stuck? Do you subtly sabotage your projects? Constantly doubt yourself and your creative capabilities? Coaching can provide the motivation and accountability needed to get on track and look at what is holding you back. 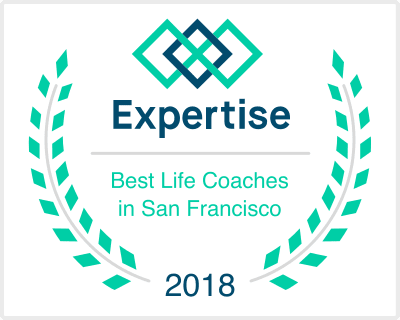 My coaching provides a place to explore any blocks to creativity, such as perceived obstacles, self-sabotaging habits and fears (including the fear of failure – and success) and offers techniques to create new, more inspiring habits. Creativity and playfulness are an integral part of a rich and fulfilling life. I support people in discovering their unique creativity and finding ways to include it in their daily lives so that it brings aliveness. In these busy, technologically overloaded times, it is far too easy to forgo one’s creative practices and expression, the cost being a rift between you and the nourishing experience that art-making provides. I am an Expressive Arts Therapist* and enjoy working with creative people and professional artists of all modalities, as well as individuals simply wanting to connect more with their creativity. Using the Expressive Arts bypasses the rational mind and shines the light on patterns or limiting beliefs that may be unconsciously holding you and your creative projects back. I enjoy learning new skills and techniques and am currently training with Eric Maisel a renowned creativity coach and prolific author on creativity. I also use EMDR to help artists work through their procrastination and creative blocks. * I am trained in dramatherapy, play therapy, visual art therapy, music therapy, poetry therapy, Jungian sandplay therapy and dance and movement therapy. Please feel free to call me with any questions or to make an appointment for a free consultation: 415 967 3669. © 2019 Penny Fellbrich. All Rights Reserved.